Android 4.1 Jelly Bean is already out on the Galaxy Nexus, but other phone are still waiting for manufacturers to do the work and update their handsets to the newest version of Android. What’s worse is that some handset will never officially get updated to Jelly Bean. If you want to change that, you should be on XDA Developers where all the development happens and now the Samsung Galaxy Ace and Gio, some of the most affordable low-end Androids, got the CyanogenMod 10 ports. 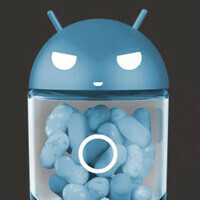 CyanogenMod 10 is the Jelly Bean based version of the custom ROM. If you want to flash it, just check out the links below where you’ll find all the detailed information you need. Interestingly, the Ace and Gio were never included in Samsung’s plans for the update to even ICS as they run on a pretty dated ARMv6 processors. Now, a very important disclaimer is that those ports are not yet final - they are alpha versions that are still not ready for prime time. You can get on and help the developer and also get a taste of what’s to come with them though. And that is the beauty in Android - your device gets supported (officially or unofficially) for a much longer time than the iPhone. If by "upgrades" you mean iOS 5.2 - because about 90% of iO6's features are NOT available to the 3GS - then yes. You get to enjoy your VIP mailbox. Woohoo. If you have a 3GS, ask Siri. Oh, wait, you can't. Not everybody root their phones so if itnt official it cant be called an update. People should ask OEMs how come develoers can port newer versions on old low level smartphones and they dont? BS. If it's an update - it's an update - official or not. samsung galaxy ace 4.1.2 update yet? Do not have the updated information, please be next?